Custom Labels & Stickers for Back to School Season! Here at Global, we offer a wide variety of label and sticker options to suit your needs. There’s stickers by the sheet for small orders, contour cut vinyl for more durable applications, and labels by the roll for large quantity orders. 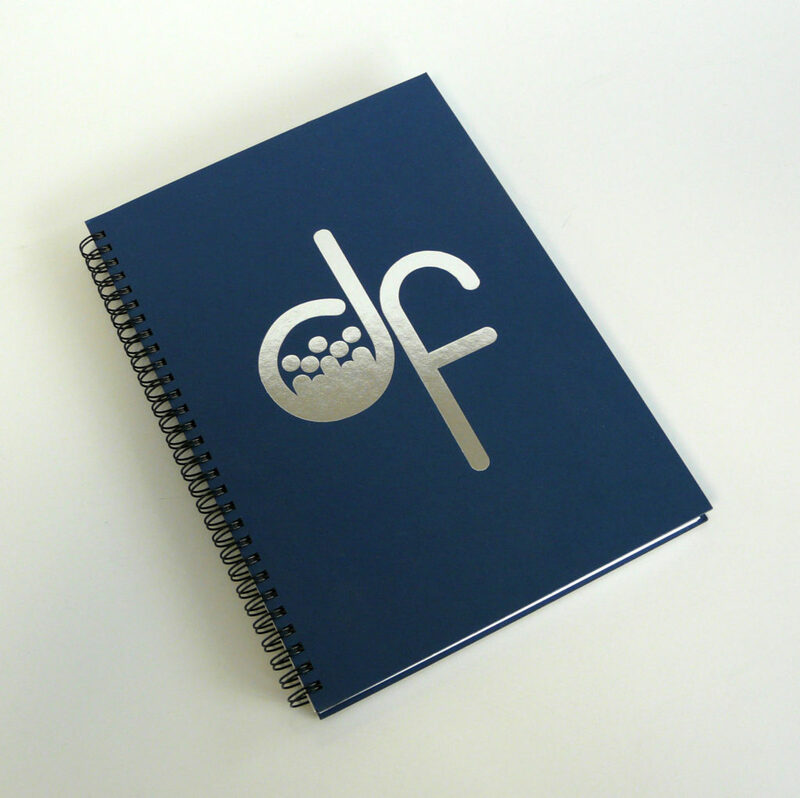 We can even do special textures, embossing, and metallic finishes! Drop us a line and let one of our knowledgeable staff help you choose the option that’s right for you. First impressions, they say, last longer. The first impressions your store makes to passers-by and first-timers tend to matter a lot. It decides if they eventually will patronize you, refer your store to others or just ignore your store altogether. For existing customers, the impression your store continues to make takes a crucial part in deciding if they also will continue patronizing you and invite more customers to your store. So, how do you have your store make good impressions not only to existing customers but also to passers-by and first-timers? Store front graphics to the rescue. It’s amazing how a sticker turns your storefront into a big billboard. It can create awesome impressions or otherwise leave bad impressions on people. 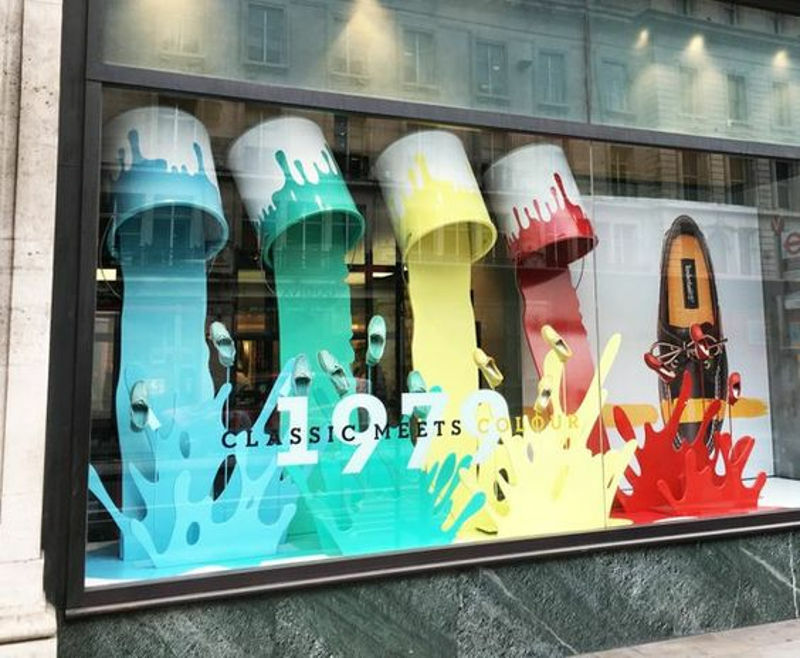 Since even the smallest detail on the store front graphics can enhance or mar the impression you’re striving to make, how then do you make sure you’ve chosen the most suitable store front graphics for your store? 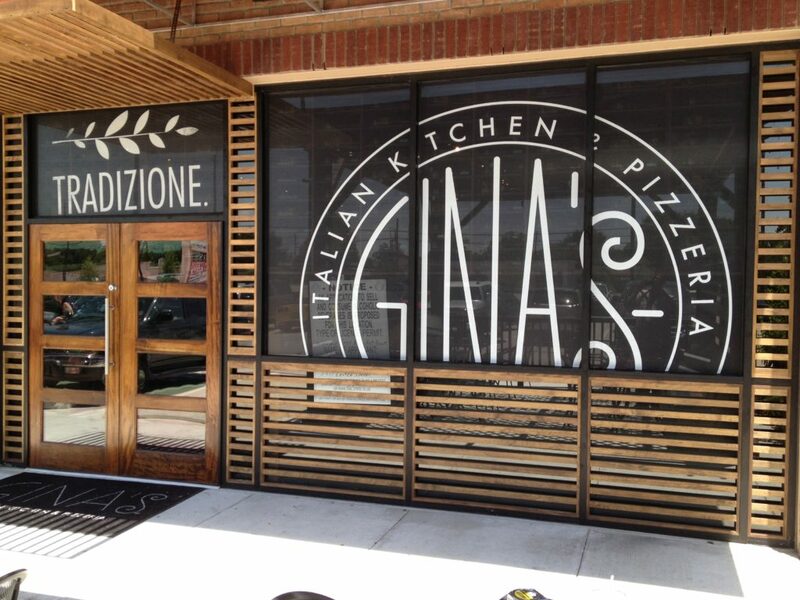 Here are a few factors to consider before choosing your store front graphics. You have to make sure that the company that will undertake the job of designing – and later setting up the graphics for installation – is above par and up to the task. The company should have experienced and professional graphic designers who will work with you to bring out the effect you have in mind, while also giving you expert opinions along the way so as not to compromise the impression the graphics will make. High quality materials that are durable and fade resistant should be used by the company. The company should have excellent customer and peer reviews and good communication with all parties involved. In this modern age, the company should be using the right inks and best practices for being eco-friendly. In choosing the perfect store front graphics, consider of all the macros and micros in the details, like the colors to be employed in the design, the fonts, the background, letters capitalization, the style and flow. The color chosen can have a huge impact on the final output. Vibrant colors that attract people naturally and won’t fade overtime should be made use of. The font should be one that will be easily read by anybody who make even the slightest act of glancing at the graphics. For the sake of continuing making the impression even at night, fluorescent lighting, or photo-reactive vinyl may be used; think reflective, backlit, metallic, textured, etc. For you to get the most suitable store front graphics, consideration must be given to the environment your store is located. How the environment’s weather is like, what kind of people pass by or patronize your store, these are all things you need to scrutinize before deciding on what graphics to use on your store front. Keep it relevant and up to date. Times change, so do fads. Make sure to keep your graphics current with the market. The good news is you don’t have to start “Googling” or asking people around just to get the right company. 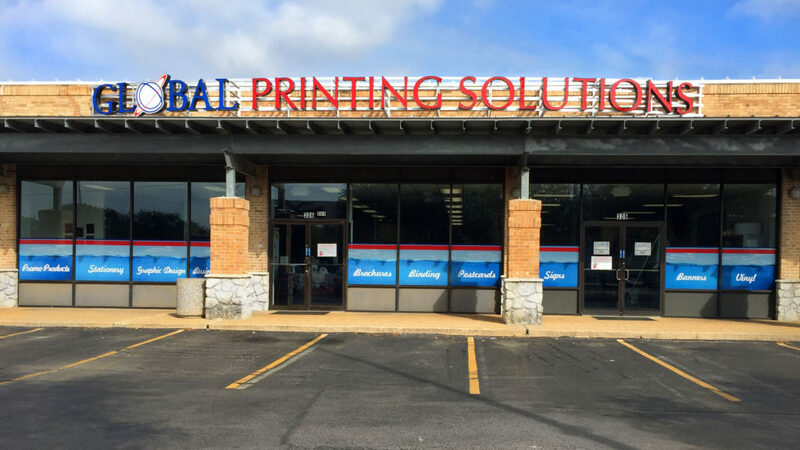 At Global Printing, with the help of creative and experienced graphic designers, we consider all the above factors, what you want as your message and your geo-location to recommend the most suitable materials for your store front graphics for your business. 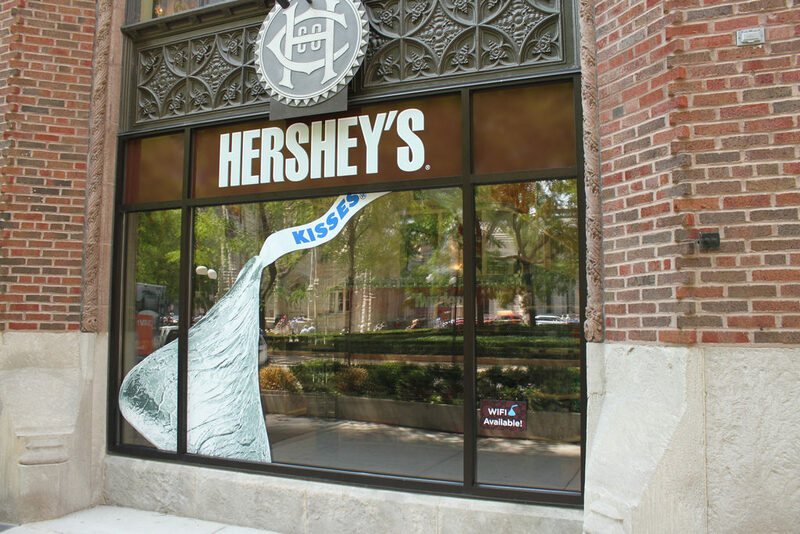 We can help with everything from beginning to end: concept, design, placement, creation and installation of YOUR store front graphics. Contact us today to get started! Sound familiar? Competitor analysis is performed at the creation of a new company or during development of a new product. Social media is scanned daily, checking out what the competition is doing. This is NOT good competitive analysis. Much will be assumed, more will be missed. Good competitor analysis provides valuable insights into how to run your business, and win! It’s a start, sure. But simply knowing what they offer, and reading the occasional blog post, isn’t enough. A competitive analysis should be an in-depth analysis of your industry competitors – their strengths and their weaknesses. Only then will you be able to identify opportunities for improvements within your own business. Think you know everything there is to know about competitor anaysis? Are you sure? This guide must have a place in your marketing library. Don’t believe me? Believe the experts..
First draw up a list of your company’s competitors. The main ones, plus those that compete indirectly with yours. Ones that offer products and services that are targeting the same market as you. Also, include information on start up companies, those emerging in the coming year. BTW – I realize it’s hard, but you’re going to have to step back and analyze the market, honestly. You can’t afford to be precious about your company. Highlight competitors that will pose the biggest challenge. Competitor analysis should be performed on a regular basis – and I don’t mean once a year. It should be an ongoing process, and with the abundance of martech tools, there’s no excuse. Including a competitive analysis in your marketing plan demonstrates to investors that you’re aware of the competition and that you have a clear picture of the marketplace, along with plans in place to compete at the same level as established brands. BTW – if you need help with setting up a comprehensive marketing strategy, I’ve just the thing for you – 5 Steps to planning a winning marketing strategy. It walks you through reporting on last year, generating new ideas, choosing your strategies, setting your goals, and structuring your plan. It can be complicated and it is time-consuming, but if you follow this guide you’ll understand how to identify, analyze, and determine what’s important. The guide provides real life examples, templates, and tools in action. Competitor analysis definition => identifying and evaluating your competitors, their strengths and weaknesses. How they compare to your business. This information should then be used to improve your company’s efforts and take the advantage. It has to be an essential part of your marketing plan. If it isn’t, you’re working in the dark. Without it, how will you know what makes your product unique? – Company culture – old school or start-up? Harley, Indian, Triumph – big, throaty bikes ridden by leather-clad guys – dominated the American market. Honda, wanting to expand its motorbike business in the US, evaluated the competition and found its niche – small bikes. Back in Japan, Honda’s success meant that it was able to increase output, while reducing costs. While Honda’s larger bikes couldn’t compete with the likes of a Harley, its smaller bikes were a hit with younger buyers looking for a cheap alternative. Why do a competitor analysis? Because if you don’t know what they’re doing, what strategies they’re using, you won’t be able to beat them at their own game. Competitive analysis is market research, finding opportunities and risks associated with various strategies, such as a product launch. Once you’ve identified your competitors, you can dig deeper and gain a better understanding of what type of content they’re publishing. Analyzing their content can help you determine what opportunities you have to outperform. What types of content creation do your competitors focus on? Once determined, you can check out the quality and how it compares to yours. Look for how often they’re blogging, adding and updating new content, as well as what topics they’re discussing. Are they publishing more posts per week than you? Don’t just blog because you want to add more content, it won’t generate more traffic if your content isn’t remarkable, and doesn’t resonate. Your competitors are posting at the same rate as you, with similar content. Why are they ranking higher in search engines? What are they doing differently to you? This is when you need to explore their SEO strategies, find out what keywords they’re using, how they’re managing links, etc. Your goal? To outrank them in SERPs. Here’s what you should be checking. Where are your competitors using keywords? Page templates – how well a site is designed. Are their sites responsive, optimized for mobile devices? Is yours? Not only should you check the SEO structure of the content but also what types of keywords your competitors are using. It’s called keyword gap analysis and it’s to determine which keywords your competitors are ranking for, that your website isn’t. Part of your competitor analysis is to find where they rank in SERPs, and earn a higher ranking. Once you have the results of your gap analysis, you’ll be able to remodel your site. Look at the metadata, the site architecture, repurposing existing content that’s ranking badly, and writing new content that incorporates the missing keywords. If the new keywords have high search volume, look for keywords with lower search volume – usually, long-tail keywords. A keyword like books, although a popular search term with consumers, has high competition and is difficult to rank for. It’s a generic keyword that doesn’t tell us anything about what the consumer is looking for – fact, fiction, biography. If you target the long-tail keyword/phrase, US travel books, there’s more information. If your website sells US travel books, it’s a phrase that must appear on your site. It has to be one of your long-tail keywords. Also, use keyword variations to increase the number of searches – e.g., travelling in America, touring the US, exploring the United States. Think like a human, not like a search bot! Are your competitors using trending topics in their marketing strategies? Jumping on a story that’s just hit the headlines – newsjacking? If they are, and you aren’t, you’re missing an opportunity to outrank them in search engine results pages. Jumping on a trending topic helps your content get found. The content is more likely to show up in the Google News section above the organic rankings. It may also get quickly picked up in Google’s organic rankings because Google’s algorithm is constantly searching for content on trending topics and pages that were recently updated. Jump on a topic, and be original! How do you find trending keywords/topics? Using Quick Search, I’ve done a search for social media listening. The results below, show keywords/phrases trending in the industry which can be checked against your list of keywords. Any missing, create content and get them on your website. It doesn’t have to be an industry search. Enter a product name, for insights on all the surrounding themes. In the example below, I’ve searched for the BlackBerry Motion, a smartphone due to be launched in 2018. With this data, BlackBerry has the top keywords being used in consumers’ searches. By incorporating them into its SEO strategy, ranking well in SERPs is more likely because the website contains searched phrases and keywords. BlackBerry competitors performing the same analysis, will find keywords and phrases that consumers are using when they search for the BlackBerry Motion. To grab these consumers during their searches, competitors should include the keywords in the content on their website. Again, their websites will hold the answers to consumers’ questions. Yep, it’s a battle of the keywords! When searching for BlackBerry Motion, consumers are using keywords that include: battery life, security updates, anti scratch, energy efficient. The next step of your competitive analysis should be to determine how your competitors are using social media. Their activity and the social media landscape as a whole, in your industry. The results of this analysis will help you improve your own social media strategy. What social networks are they using and which are working best for them? Are you using the same? What are their engagement metrics? Retweets, shares, comments. This will determine how successful they are on each channel and whether their strategies are worth copying. If their engagement is high, are you posting at the same frequency? How many followers do they have and how fast are they acquiring more? How does this compare with your growth? Should you be following them too? Are they proactive in responding to customers’ support issues? Do they have a separate account dedicated to customer service? Are they helpful or aggressive? Do they personalize responses? You could gain points by offering this service, if your competitors are lacking. What are they doing well? Newsjacking, promotions, customer engagement, ads? Are you doing the same, achieving the same results? What are their weaknesses? Bad response rate, inactivity, careless spelling mistakes, irregular posting, lack of engagement? Knowing what’s working for your competitors and what isn’t, will help you plan your brand’s social media presence. Once you’ve analyzed and found areas that you can jump on, shape them to suit your brand and your audience. Of course, you have competition – local, national, or international, your brand will be competing with other brands. Once you’ve established who the competition is, you need to get started with your competitive research or intelligence – collecting and analyzing information about your competition. You’ll be looking at data that’s available to the public, so nothing dodgy – annual reports, company profiles, product brochures, press releases. Check out reports published by companies like Hoover’s and Dun & Bradstreet. Local newspapers are also packed with valuable insights. Access online databases such as the US Securities and Exchange Commission and Standard & Poor’s. I’m guessing you’ve a rough idea how many Facebook followers your competitors have, how frequently they tweet. It’s a start, but you must go deeper. Social media listening brings deeper, more valuable insights. With the right tool, you’ll understand how consumers feel about your competitors’ products and services, identify emerging trends, and discover newbie brands arriving on the scene. Unlike reading published reports and online databases, analyzing social media data means you’re seeing results in real-time. Finger on the pulse, your reaction time will be fast. No, no, no – don’t for one moment think that you don’t have any competition. For example… you’ve just opened a restaurant in a small town, where there doesn’t appear to be any immediate competitors. What about the bar around the corner, the cinema opposite, the hotel just out of town? What about the online pizza delivery website? Knowing who your competitors are, what products they offer, prices, opening hours, customer service, etc., will help make your business stand out. Once you’ve established strengths and weaknesses, you can attack vulnerable areas with focused marketing campaigns, flexibility around your products and services, tweaks to prices or hours. Compare your strengths and weaknesses with those of your competitors. Find areas you can specialize in, focus on, exploit. What products or services are they offering? Dig deep into your competitors’ products and services. What features do they have, that your product doesn’t? What value does it give to consumers? How are they marketing their products? There’s been negative feedback about the opening hours of the restaurant. Closing at 10 p.m. means that some late arrivals are dining at the bar, or ordering pizza. Is it financially viable to keep the restaurant kitchen open until 10.30? Would the extra wages be justified by the potential increase in revenue? Don’t go soft on me, this is where you have to be brutally honest. I know you love your brand, but if you’re not objective, any results you get, will be worthless. List your competitors strengths and weaknesses. Should you be threatened by their strengths? Which weaknesses can you exploit? Now you know the things you should be looking at, an easy way to compare is with a competitor template. List your competitors on the left. Across the top, list the target market, price, USP, social media presence, distribution method, sponsorship, influencers, etc. Below, to show you what I mean, I’ve started a comparison between Coca-Cola and its top competitors. What should you be comparing? How much people are talking about your brand, in relation to your competitors. A strong SOV isn’t necessarily a good thing, if a high percentage was caused by a crisis situation. But, these insights will give you a clearer picture of your brand awareness, compared to your industry. I’m going to use Quick Search to compare Coca-Cola, Pepsi, Dr Pepper, Red Bull, and Gatorade – for a period of 13 months. While Coca-Cola is the king of fizz, Pepsi hit the headlines in April with 2.5M mentions. In a competitor analysis study, Coca-Cola should ask – what happened to cause this peak? Should we be copying this tactic to increase our brand mentions? All becomes clear when we dig deeper. This in an example of when a strong SOV was caused by a crisis situation. Playing devil’s advocate – Pepsi should have immediately dusted off its crisis management plan. Hey, if you’re concerned about the best way to deal with a crisis situation, I’ve written –Crisis management | Planning for the inevitable social media disaster. It demonstrates what you should do before, during, and after a crisis. It’s worth a read, it’s gonna save your life and your business. Sentiment is the next biggie. The feelings expressed in conversation about your brand. Again, it’s you vs your competitors. It’s important to track sentiment over time. It will help you understand how your marketing campaigns are affecting consumer perception of your brand, in comparison to your competitors. Looking at the sentiment towards McDonald’s and Burger King over a 13 month period, McDonald’s has 62% negative sentiment compared with 40.5% for Burger King. The cause can be identified if I dig deeper. McDonald’s suffered a slump on October 9, with a ridiculing YouTube video. While Burger King peaked with a positive tweet from rather a big name. Taking a deeper dive into sentiment to discover what’s driving it. Look at the key topics of the conversations to identify what consumers are saying about your brand, product, or services. Uncovering the words and phrases that consumers are using, will give a better understanding of where your brand fits. It will also open up opportunities where you can position your brand and join conversations, previously unheard. First past the chequered flag – Red Bull! Looking at the top themes – mentions over 13 months – surrounding our five brands, remembering who’s the king of fizz, Red Bull beat Coca-Cola – 99.6% to 99%. As leader of the pack, Coca-Cola has to identify why it’s lost out to Red Bull and what’s missing from its marketing strategy. Hmmmm, sponsor a Formula One team, maybe? Your competitors’ audiences, who are they? Are they the same as yours? Refocus and target to increase your customer base. Your existing customer base is quite young, whereas your competitors have an older demographic. Can you target this older group and introduce new consumers to your product? Are you missing out on countries, places you’re failing to market it, where your competitor is doing well? Using Quick Search, I’ve compared Nike, Adidas, and Reebok, to show share of countries. Nike leads the sports footwear industry. Snapping at its heels are Adidas and Reebok. The Quick Search result show the share of countries/regions for the brands is close. But, should Adidas and Reebok target the 5M+ audience in South Korea, in their future marketing campaigns? Find out what your audience is interested in and you’ll have the means of keeping them engaged. Social media analytics can show you your audience’s interests and those of your competitors. This will give you insights in how to appeal to your competitors’ fans. You can also segment the audiences to fine tune. Maybe no surprise, the Red Bull audience is interested in sports, despite also being a popular mixer in bars. Red Bull being a main competitor of Coca-Cola, the king of fizz needs to target sports lovers to increase its market share. You’ll have already done a SWOT analysis of your brand, and filed it in your marketing strategy, for future reference. Now you need to do one for your competitors. SWOT – strengths, weaknesses, opportunities, and threats. It’s an audit that identifies the internal and external factors affecting a team’s future performance. Internal factors are strengths and weaknesses, while external factors are opportunities and threats. What made me choose that brand? Is it just because they’re different, better, cheaper, local, more choices? Why would you choose them over another brand? Would you be prepared to swap brands, if changes were made? While doing your competitor analysis, SWOT results should be taken into consideration. For this to be effective, external factors should also be assessed. This is where PEST should be brought into play. PEST analysis is an element of risk/crisis management that ensures a company is prepared for a change in certain external factors – listed below. Will a change be considered an opportunity to do better, or will it be seen as a threat? How will they handle a change? Answers to these kind of questions will demonstrate how your competitors operate, and this can become part of your marketing strategy. Just supposing there’s a change and your main competitor can’t handle it. But, your company can rock it and come out on top. Politics – government regulations that will affect the market: political stability, tax laws, trade restrictions, safety regulations, and employment laws. Economic – issues that will impact your industry: inflation, interest rates, exchange rates, economic growth, unemployment rate, policy changes. Social – analyze the socio-economic environment of your industry: customer demographics, culture and lifestyle attitudes, languages, and education levels. Recognize how customer needs are formed and what motivates them to purchase. Here’re examples of brands that failed to do their homework, risking a drop in sales, and a lawsuit. US brewery, Coors translated its slogan – “turn it loose” – for a Spanish audience. Unfortunately, it meant – “diarrhea”. Technological – how tech impacts the launch of a new product or service. This would include technological advancements, lifecycle of technologies, and money spent on R&D by the government. If you don’t keep up with modern digital marketing techniques – optimizing your site for mobile devices, etc. – you’ll lose customers to your competitors. To help with your competitor analysis, I’ve created a template. Click below and fill it with the results of your competitor audit. You can tailor the template to suit your business. Identify your main competitors and fill in a template for each. What makes your company unique, different from your competitors? You know your target market – don’t you dare say you don’t. Identify your competitors’ target market. If you’ve followed my guide, you’ll have this data at your fingertips. Keywords your competitors are ranking for. Backlink strategy. SERPS. Which trending keywords are they jumping on? Add your current/future marketing campaigns, and those of your competitors. Familiarize yourself with their strategies. Rate your company’s products and services against those of your competitors. Whose is best? What features are you missing that are working for the competition? Cheap and cheerful? Targeting consumers with disposable income? Which channels are they using? Images, video, text? Frequency of posting? What are the demographics of their followers? You’ve already done this for your own brand, right? Now do it for each of your competitors. Perform PEST analysis for each of your competitors, and compare with your own. It won’t happen overnight, it’s an ongoing process. Performing regular competitor analysis will give your company the advantage it needs to beat the competition. Watch and learn – yes, you’re right, I mean spy and copy. Monitor your progress by installing tracking – Google Analytics, SEMRush, Moz, Webmaster Tools. Watch your competitors and industry with Quick Search and Talkwalker Alerts. See what’s working and what isn’t. Quick Search is a vital part of your competitive analysis reporting. As intuitive as a Google search, and super easy to use, this search engine allows you to compare multiple products and brands for competitor and industry benchmarking. Sign up for a free demo and take it for a spin.